After Charlie Walbridge, an East Coast paddlesports legend, founded his own company, he moved on to work with NRS as the East Coast Field Rep for more than two decades. He announced his retirement in December 2015. Follow him as he remembers his life in paddlesports, from the beginning to the end. 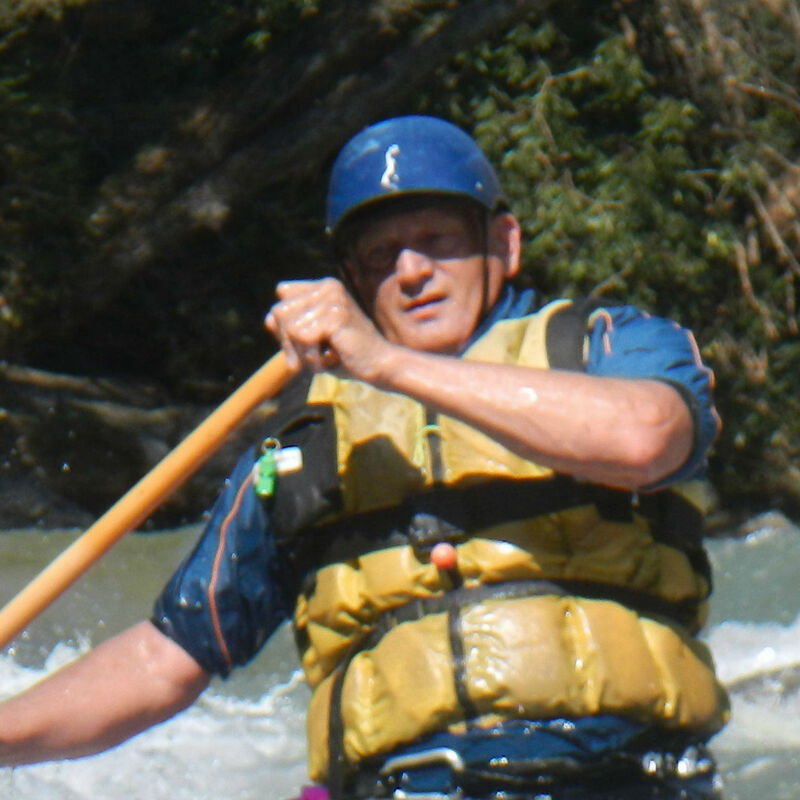 I started paddling whitewater in 1968, running rivers in central Pennsylvania with a group of friends from the college outing club. The rapids weren’t too difficult, but we flipped and pinned our aluminum canoes regularly. We learned what we could from books, slowly gained experience, and started to improve. One day we stumbled on a slalom race; from this came kayaks, roll sessions, and more adventures on harder rivers. By my senior year, I was hooked on whitewater, a passion I followed to a teaching job in the Washington, DC suburbs. Charlie guiding on the Chatooga River, circa 1974. Although I loved living near the Potomac River, the teaching job was pretty frustrating. And within a year, I figured out another way to earn a living. 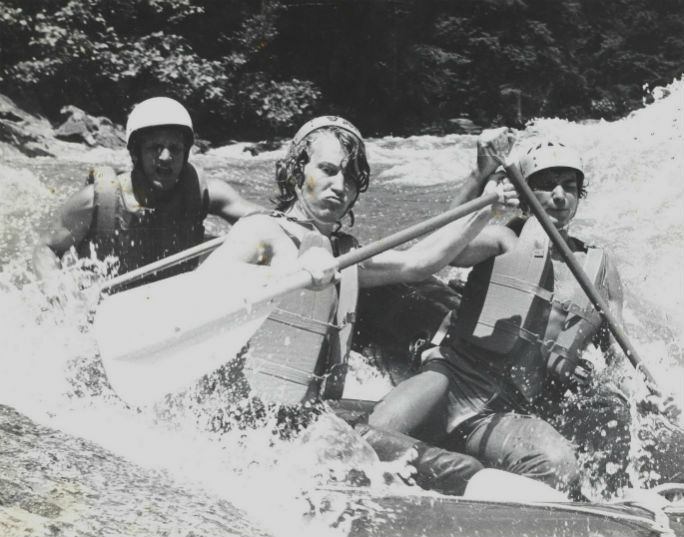 Back in 1973 whitewater recreation was in its infancy, and most people made their own boats and gear. I founded a mail-order company, Wildwater Designs, selling life vests, sprayskirts, and wetsuit kits. In the early years I supplemented my income working as a river guide. 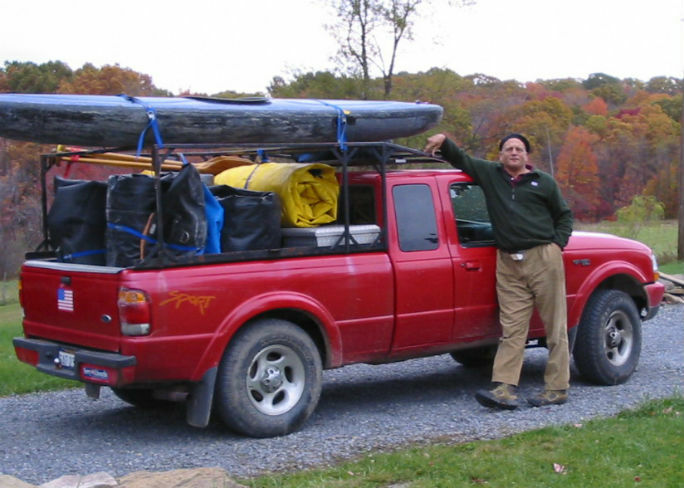 Although I ran my business from my bedroom for a year while I guided for the Nantahala Outdoor Center, most of the time I lived near Philadelphia, PA and worked weekends on the Lower Youghiogheny and Cheat Rivers. Over time, my business grew. I moved away from kits to fully-designed and produced gear, and sold to both retail and wholesale customers. Eventually, I retired from guiding and hired two employees to help during Wildwater Designs’s busy season. Charlie at work in his shop, Wildwater Designs. Two decades later profit had gradually declined. Catalogue marketing was a popular way to sell to a limited market, but as whitewater recreation’s popularity grew, specialty retailers proliferated. By the early 90’s it was easier to go to a local store than phone in an order and wait for delivery. I kept my old customers, but had trouble attracting new ones. After several years of losing money, I made the hard decision to close-up shop. I held a huge sale to get rid of my inventory and offered my customer mailing list to several long-time competitors. One of them was NRS. A few weeks later I got a call from Bill Parks, who wasn’t interested in my mailing list, but thought I could help him sell a new line of NRS rafts to eastern outfitters. I already knew about NRS. 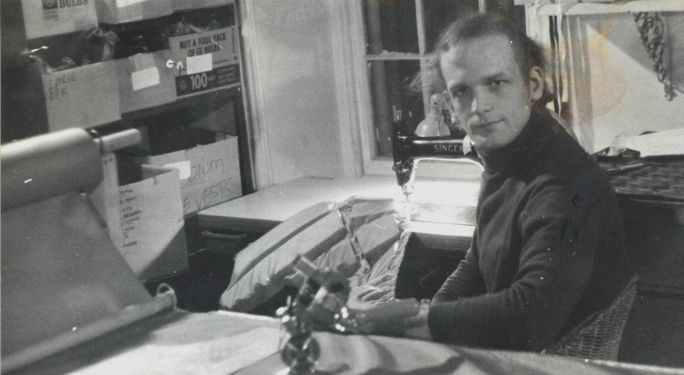 Bill had started his company five years before I’d started mine and was a serious competitor. But our relationship was more complicated than that: he bought gear from me and I was one of his dealers. A few years earlier NRS had purchased a raft factory in Mexico and, after several years of hard work, they were producing boats they thought could compete with anyone. After travelling to Idaho, meeting the crew, and seeing the boats, I excitedly accepted the NRS Eastern Outfitter Field Rep position. Even though I’d been a guide, I had a lot to learn about the modern rafting business. In the 1970’s our guests were generally men about the same age as us. We ran “guide assisted” trips; we paddled along as safety boaters, showed the way, and helped out if needed. The guests wanted adventure, and we gave them as much as they could stand. But the business had matured, and now served a broader audience. Guided trips now included many women, older men, and kids who needed gentler handling. Self-bailers replaced the bucket boats of previous decades and a new style of guiding emerged. A guide had to meet a group of strangers and get them working as a team in minutes. That summer I made my first circuit around East Coast rafting venues. 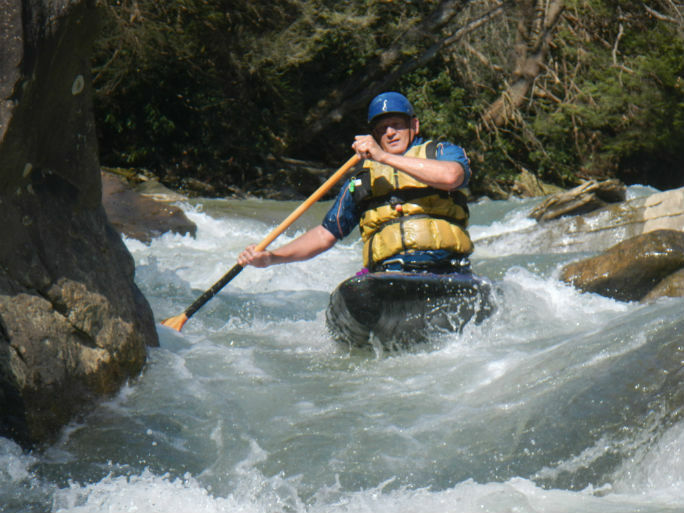 I met many people who had been Wildwater Designs customers or past river guiding co-workers. But even folks I hadn’t met knew and respected NRS and wanted to see what we had. Although they were impressed with the quality of our rafts, the designs were more suited to big, powerful western rivers rather than the smaller eastern streams. Our E160, for example, is so large that it can drift sideways through the huge hole at the top of Insignificant Rapid on West Virginia’s Gauley River without flipping. Unfortunately, it was so big and heavy that guides refused to use it. Some boats were too wide for narrow places on a given river; others needed to be “stretched” to accommodate more guests. The thing is, we could do that, and more. Smokey Mountain Outdoors rigging up for a busy day. The outfitters I met were generous with their suggestions and taught me a lot about their business. I passed their comments to NRS, and if we couldn’t find the right raft in our lineup, we’d create one. The NRS team designed several boats to outfitter specifications. Demo rafts were built, and I arranged to have them passed around, critiqued, and improved further. The E161, a stretched version of the E140 designed with West Virginia veteran outfitter Rick Johnson, is a lively 16 footer with the ability to carry 10 passengers on the New and Gauley. Each year we were rewarded with large orders at the annual America Outdoors show, and the sales cycle began again. As the team in Idaho took suggestions to heart and continued improving boat designs, our reputation grew stronger and customers grew more loyal. When I was a guide, people drove to the put-in, changed into their river clothes, floated the river, and drove home. Today many eastern outfitters have amenities like restaurants, lodging, and plenty of other outdoor activities. 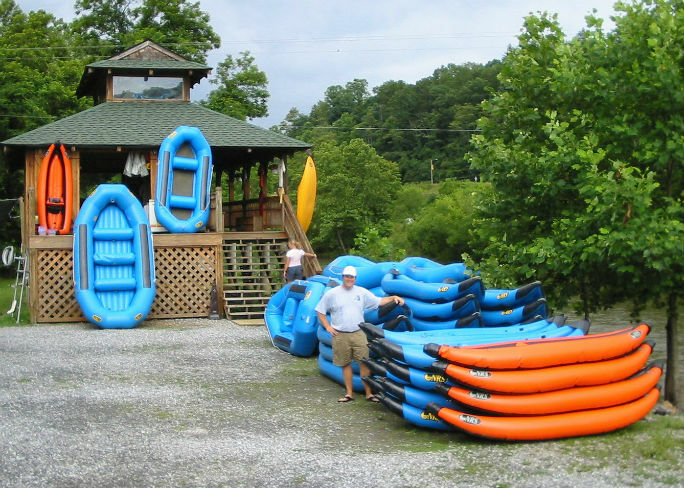 Nantahala Outdoor Center, which has grown almost twenty-fold since I worked there, was the first true outdoor adventure resort. Later, I watched several well-run companies on the New and Gauley River merge to create Adventures on the Gorge. It was fascinating to talk with managers as they merged these three companies, each with their own proud histories, into something bigger. There were two other mergers in the area, reducing the number of outfitters from 13 to six. It was sad driving by the abandoned bases of past companies, but the new mega companies were impressive. Shane Williams pictured with his outfitting company, Dillboro River Company. When I was a guide the focus was on running trips down difficult whitewater, and the talk was about spring trips in cold weather at high water. Today’s fastest growing segment is “family rafting” with warm summer weather and mild rapids. 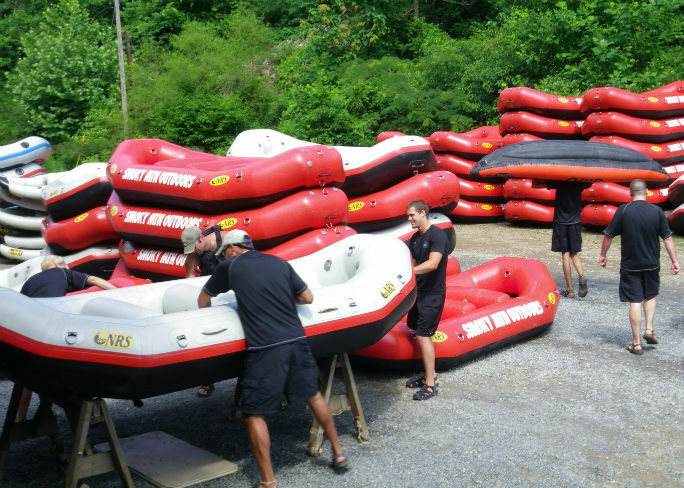 People like Michael and Mitch Hampton at French Broad Rafting, Shane Williams at Dillboro River Company, and Jeff Stanley at Wahoo’s Adventures are introducing rafting to thousands people who have never been on moving water before. This is the way you build a strong foundation for the future of the business. And like their big water cousins they can depend on NRS to give them the gear they need to keep their guests safe and happy. It just doesn’t seem possible that I started working for NRS 22 years ago! Time has passed quickly, and today NRS reps know eastern outfitters well and are likely to be telling ME what’s happening! While I’m looking forward to having a bit more time to travel with my wife, I know I’ll miss the time with the special people in the outfitting business. But the NRS team, which always made me look so good, remains in place to keep things moving forward!